JIM LIND is creative photo retoucher and rising star in my Universe. With my lifelong passion for Alice in Wonderland, this image is perfect introduction after our first meeting over a cup of coffee one Saturday in New York. Jim’s exceptional images are showcased in these photographs, part of a retrospective book on the work of the acclaimed fashion designer Guo Pei. 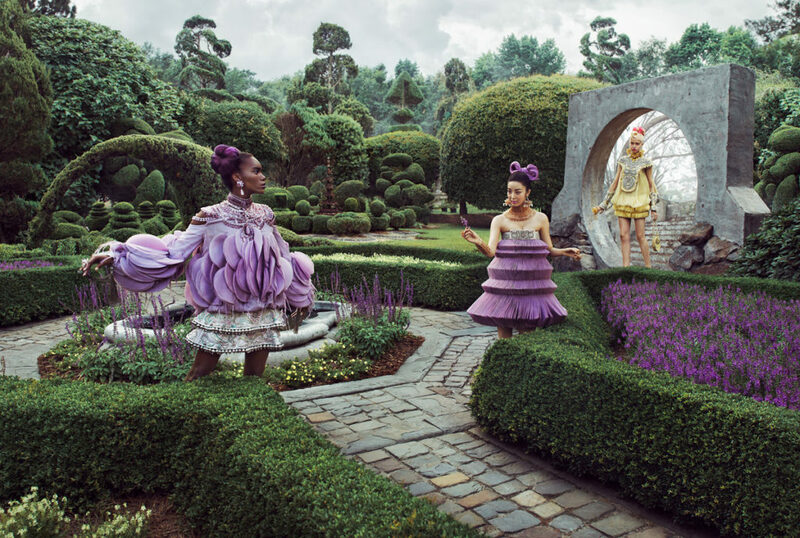 Published by Rizzoli in the Spring of 2018, ‘Guo Pei – Couture Beyond’ features 130 original images created by HOWL Collective. Jim is the Creative Director and photo retoucher within the collective. Jim’s role was to conceptualize the images, as well as the elements needed to be photographed separately, and then bring all those elements together seamlessly in retouching. Due to the delicate nature of the garments, a good amount of compositing was needed to execute the concepts while protecting the fabric from the harsh outdoor environments. 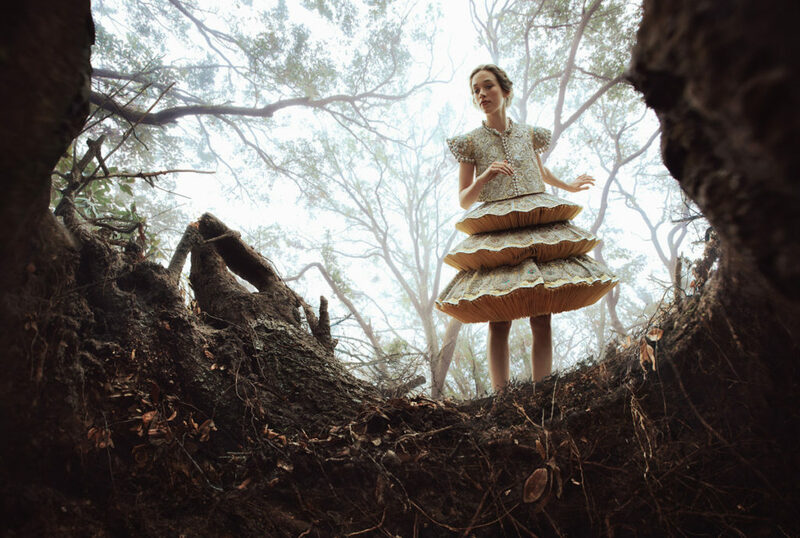 This body of work was photographed in the hot and humid states of South Carolina, Georgia, and Florida.